Whirlpool is the world’s largest manufacturer and retailer of major home appliances. Whirlpool ČR has been operating on the Czech market since 1993. The Whirlpool brand currently offers over 300 kinds of products on the Czech market. In addition, at the end of last year the Whirlpool Corporation added to its portfolio the Hotpoint and Italian Indesit brands. IKEA likes Chefparade and we like IKEA, which is why we give IKEA FAMILY members a 20% discount on all our cooking classes. 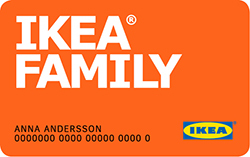 When making reservations for cooking classes, just enter “IKEA” as the discount code and then show your IKEA card at the cooking class and we will give you this unique discount on all our cooking classes. MAKRO Cash & Carry ČR offers its customers a wide range of quality meat, fresh fish and wines from all corners of the globe. Naturally, the store also carries other food and non-food items, all at one easily accessible location. For excellent ideas, gifts for friends, tips for food buffs, inspiration for individualists, designer pieces for your apartment or beautiful items produced for your home, visit BUTLERS stores or e-shop for high quality goods at the best prices. Ententyky.cz is an information website for active parents where moms and dads can find the perfect activities for their children. Find out what events are taking place at which castle, what theaters are performing which plays, where the new amusement parks are, and which restaurants have the best play areas for children. Enjoy a “touch of orange” with Fiskars products – that joyous feeling of efficiency, work well done and self-expression when using our tools. After all, the most important things in life are those precious, everyday moments. Food is a joyous part of an active life, a reason to get together with friends, a topic of conversation and an excuse to travel. Gurmet magazine talks with farmers, interviews culinary celebrities, searches for the best ingredients, tries out imaginative ideas and provides recipes guaranteed to work. Messenger was founded in 1991 as the first express courier service to operate throughout the Czech Republic. It will deliver anything to anyone anywhere and lets nothing stand in its way. This business places an emphasis on quality, tradition and a family approach. More than 2,500 tips for spending free time with children anywhere in the Czech Republic. Pick a place and an event to spend a great day with your kids. Updated every day! Calendar of the best events in Prague, updated daily. Website listing Prague’s restaurants, wine bars, bars, individual kitchens and everything about food. We feature restaurants throughout Prague that are worth visiting, restaurants with good food and friendly staff, restaurants you will like. We are a collective of highly motivated professional tour guides who speak native-level English and share a passion for storytelling, history, Bohemian culture and the magic city of Prague. We do the kind of tours we would like to go on: up-beat, fun, engaging and in-depth. We are George and Leona, locals, food and travel enthusiasts who strongly believe that food is one of the best ways how to connect with a new culture. We run food tours in Prague and strive for our guests to experience authentic Czech food of excellent quality and learn a bit about Czech history and culture on one of our tours. We show our guests around the places we like and we do it with love. Offering the top hen party destinations through Europe and the UK The Foxy Hen is the one stop shop for booking an amazing hen party. Offering accommodation, activities and attractions as well as the top restaurants and nightlife you needn’t look any further. Using a bespoke group management platform, GROOPEZE, The Foxy Hen allows the organiser easily make a booking and add in all of the other girls with the click of a button. Each member of the booking can then see what everybody is doing, edit the itinerary to suit their personal requirements and most importantly pay for themselves.